I have fun taking some inexpensive stuff generally available at train shows and rather than restoring it to original turning it into a 'one of kind' for use on my hi-rail layout. 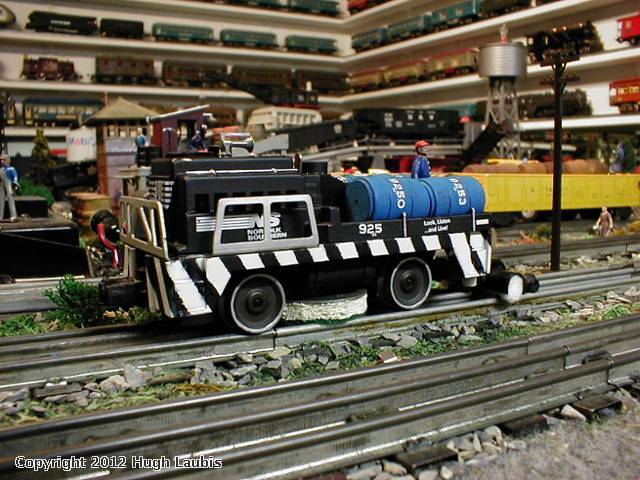 This 'rehab' of a Lionel track cleaner is one of these projects. This photo shows it as purchased but with cleaning disc removed. Here is a finished photo after a tune up and with some improved cleaning materials but still with the old Lionel wiper.I used a set of HO decals ontop of a new paint job. 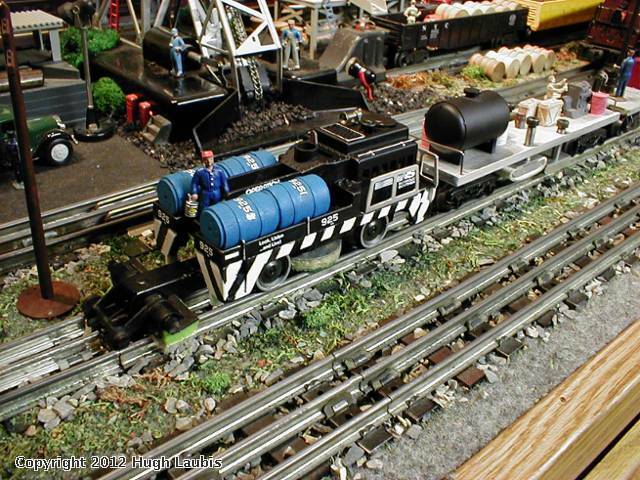 Lionel barrels were painted and consecutive numbered.Worker just loves his job. 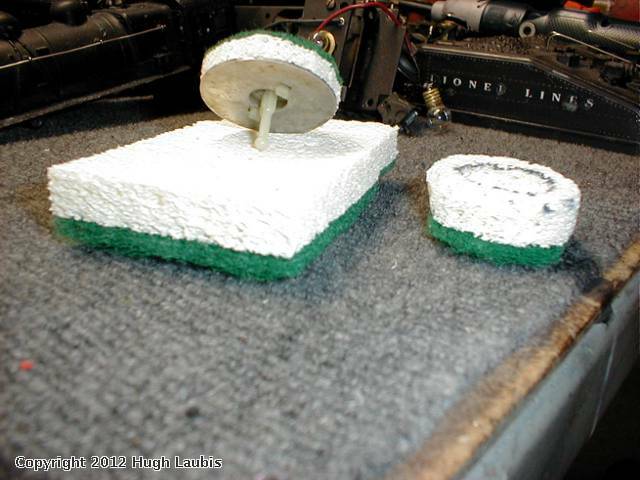 Looking closely, you can see that with a dremel tool, I fashioned a new wiper out of a paint pad. It also lasts forever. You can also see my favorite cleaning fluid, oderless mineral spirits. 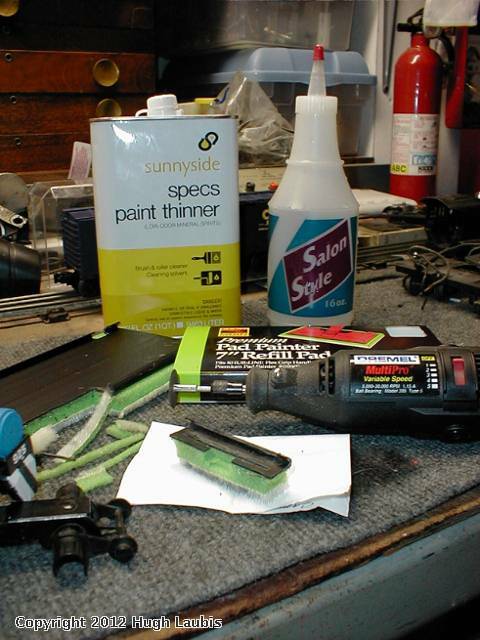 The bottle next to the can with the pointed tip is used to feed fluid carefully into the cleaning car. I use a two car system seen here. The front car has thin and fine grit wet sand paper to rough rails for the trailing rehabbed cleaner. The fluid wets down the track, the wiper does its job and then the residue dries rapidly. I would not use an engine with rubber tires to pull the pair around. 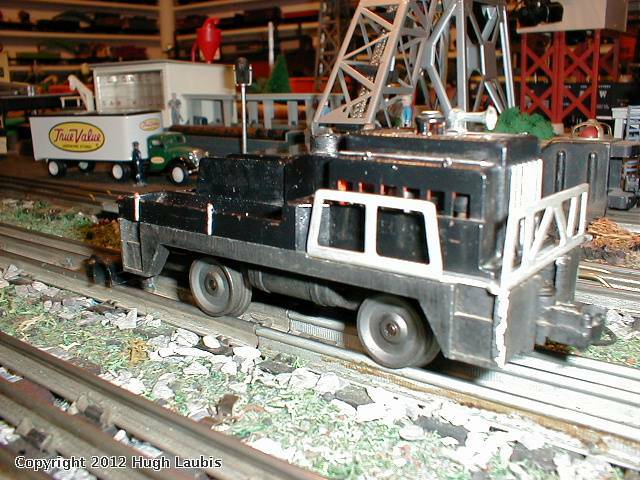 I use a post war diesel switcher with magna traction to pull this pair around. I also prop up the wiper when backing the pair into its siding. The pair make a fine scene on the layout.